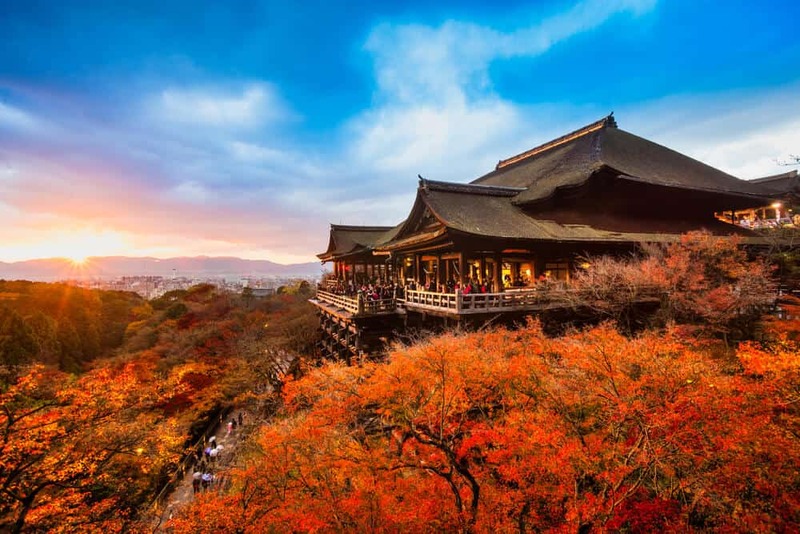 Unlike Nijo Castle and Ginkakuji, the beautiful Gion district in Kyoto’s Southern Higashiyama doesn’t suffer from having a more famous counterpart. Instead, it’s misunderstood. 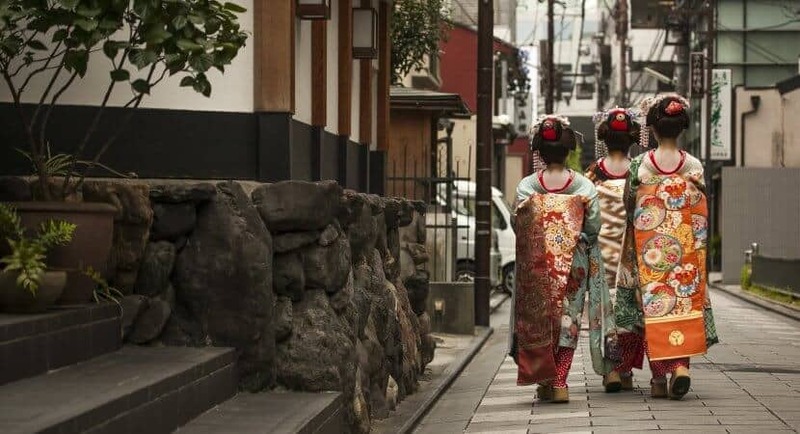 Many tourists come to Gion solely to catch a glimpse of a genuine geisha, loitering in alleys with cameras, and completely missing the charm of Gion’s historical beauty. Don’t make this mistake! Taking a leisurely stroll along Shimbashi and seeing the unique teahouses and cobbled lanes belongs on any list of Kyoto highlights. 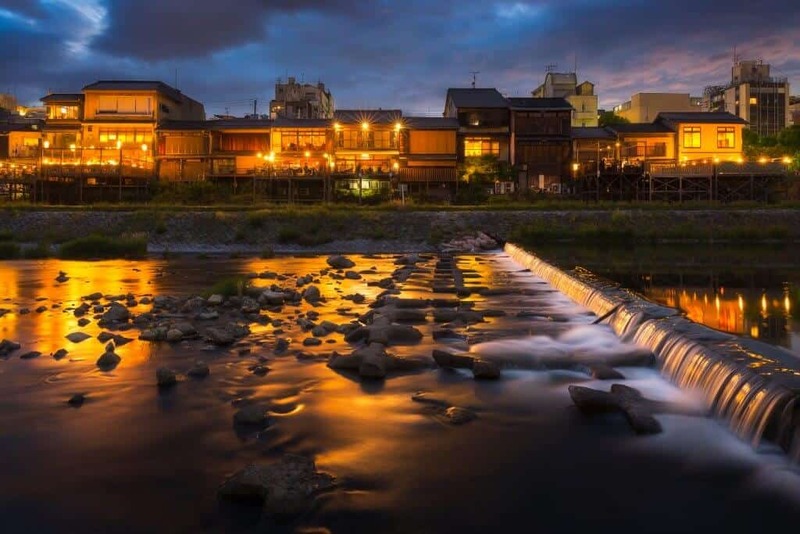 Gion started out as a collection of teahouses serving the lively Yasaka-Jinja. 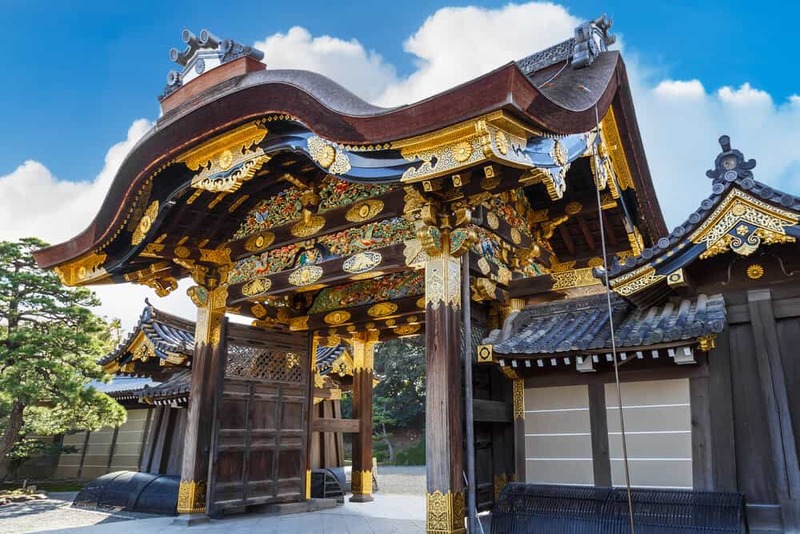 The shrine’s bright colors and bustling atmosphere makes it an enjoyable starting or ending point for your tour of Gion. 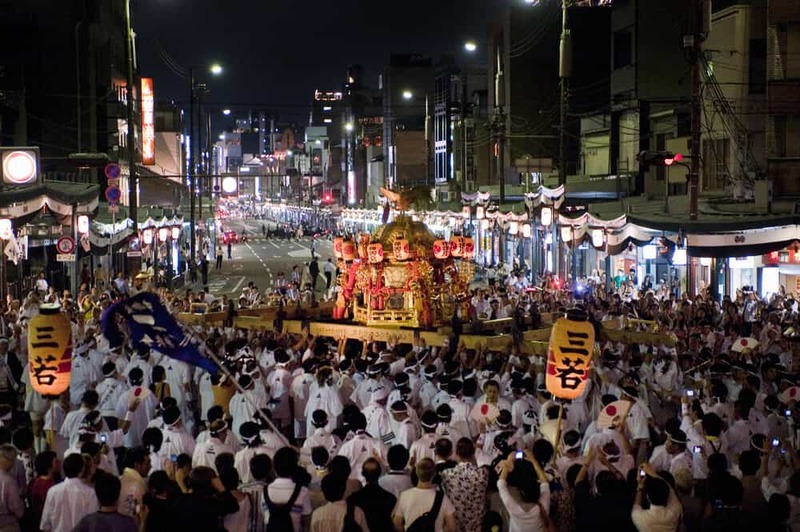 The Gion Festival, which takes place in July and is one of Japan’s most famous festivals, centers around Yasaka Shrine (in Japanese: Yasaka-Jinja). Entry to the shrine is free and the grounds are open twenty-four hours. From Yasaka shrine, proceed down Shijo Street (in Japanese: Shijo-dori). While the shops display the usual tourist souvenirs, turning down any of the side roads on the left bring you to another world, Gion corner. 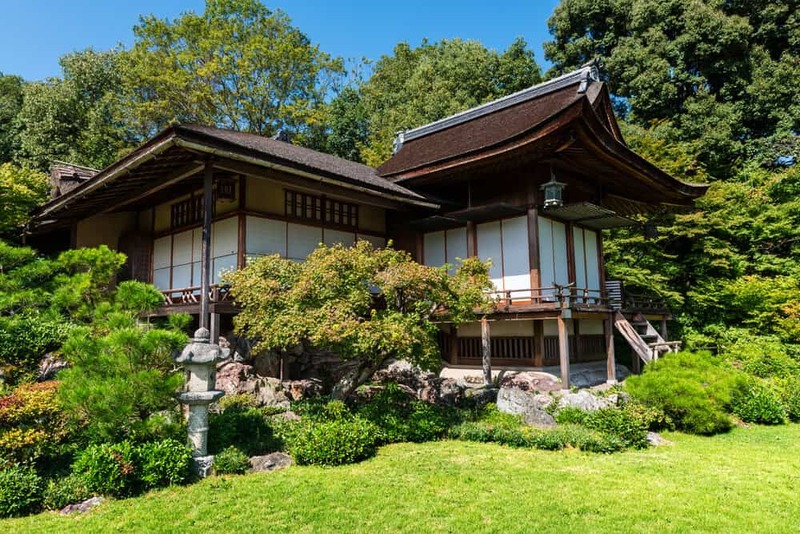 This is where you’ll find the exclusive seventeenth-century teahouses where geisha entertain. Tourists frequent this area particularly at night, hoping to catch a glimpse of a geisha or maiko (apprentice geisha), on her way to an appointment. 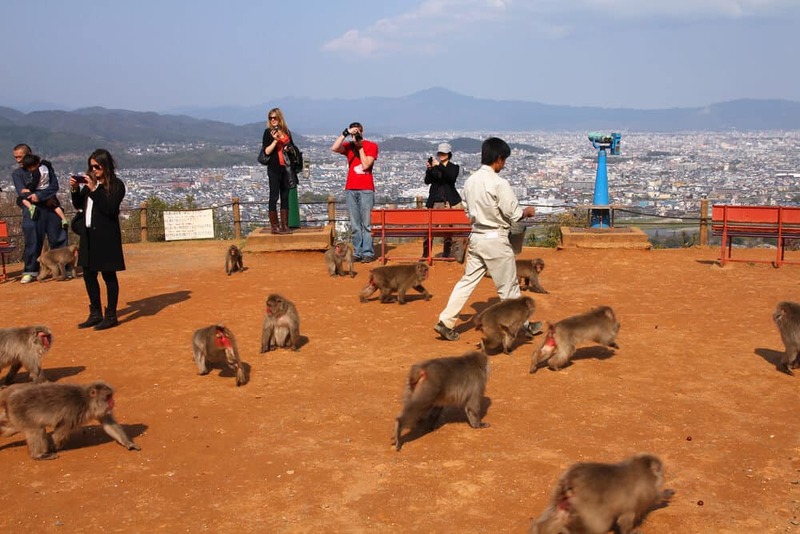 Be warned—this area is also popular with tourists who wish to dress up as a geisha for photos. 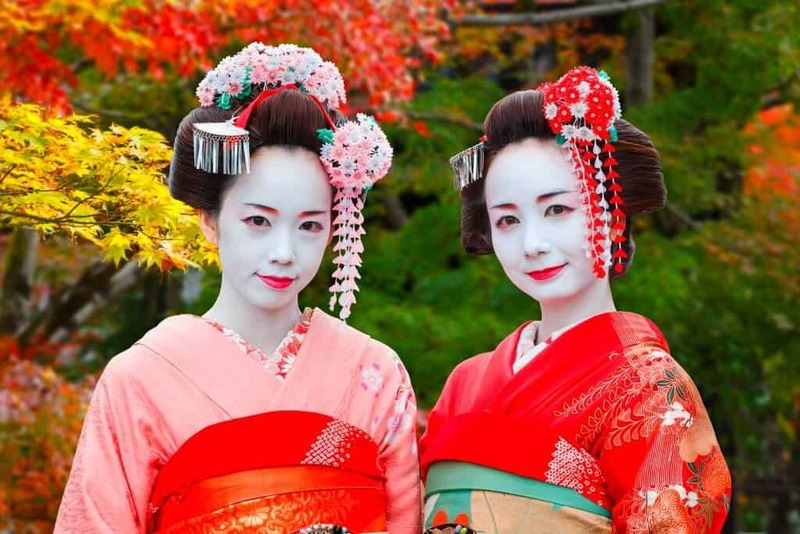 If a photographer accompanies the “geisha” you have spotted, she’s probably a fellow tourist! Ask permission before taking photos and keep in mind that if a geisha is on her way to an appointment she won’t have time to spare. If you really want to see a geisha in action, the easiest way is to book a seat at a performance at Miyako Odori (must be done in advance). However, this show only takes place in the month of April. Tickets can go quickly so be sure to make a reservation as soon as you can. The old theater in which the performance takes place is as much a part of the experience as the show. Arrive early to explore the charming garden. The ticket price includes a tea ceremony, performed on a raised stage by a maiko, while attendants serve you tea and a sweet snack. The performance, a seasonal series of songs and dances, is entirely in Japanese, but the accompanying English brochure allows you to grasp the meaning of each performance. 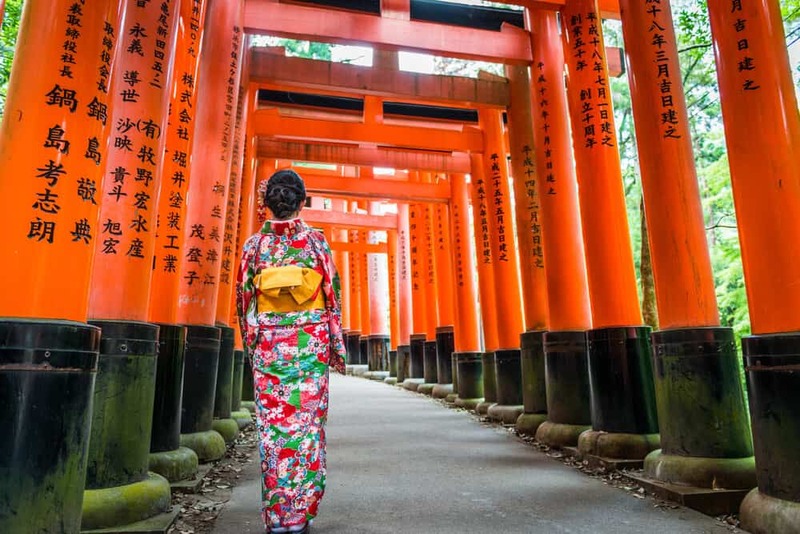 For a more traditional geisha entertainment experience, several hotels and tour groups can organize meals at a traditional restaurant with a geisha, maiko and shamisen player providing entertainment. 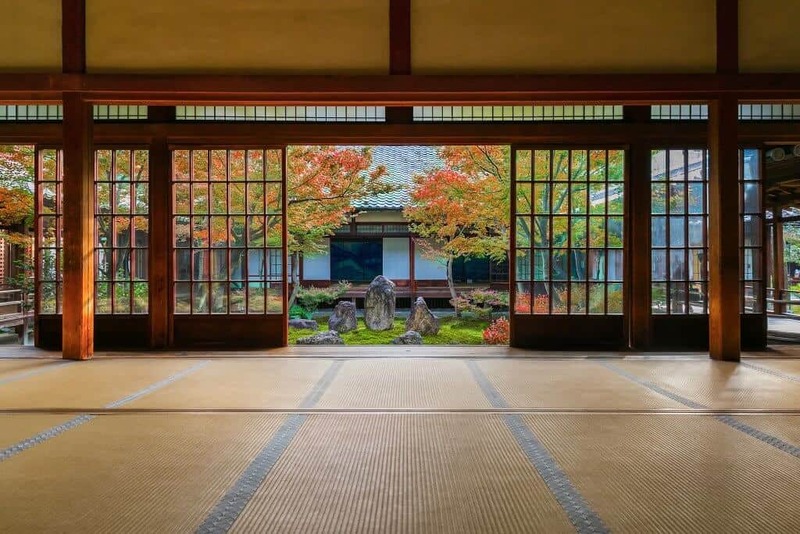 If you have extra time or want to escape the crowds (and in summer, Kyoto’s suffocating heat), Kennin-ji, right at the base of the Gion district is an oasis of peace. 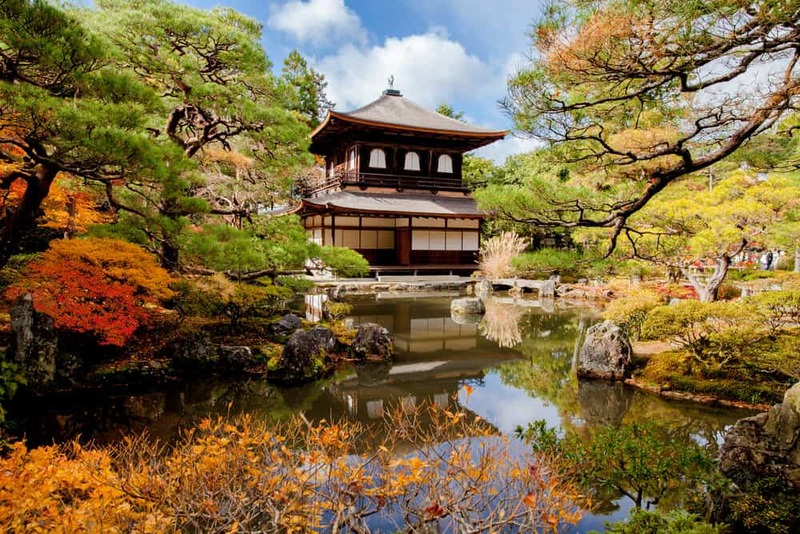 The oldest Zen temple in Kyoto, it features an outer hall with an amazing painting of two twin dragons on the ceiling. The true highlight for weary travelers is the tatami room with fans overlooking the dry-landscape rock garden. A great place to relax and recharge before moving on to the next sight. 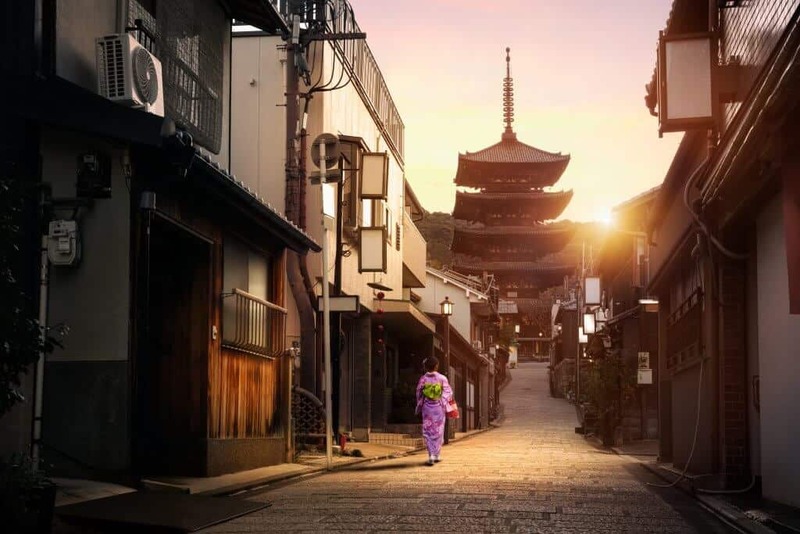 Don’t leave Gion without visiting Shimbashi-dori (Shimbashi Street). With Yasaka-shrine at your back, walk down Shijo-dori (Shijo Street), turn right down Hanami-koji, and then take the third left. Shimbashi-dori’s beautiful traditional buildings are set off with the greenery of the surrounding trees and paved roads. Only the steady click of cameras and the occasional parked car stops you from thinking you’ve stepped back in time! Shimbashi is even more beautiful during the cherry blossom season. The teashops here are more affordable than their counterparts in Gion corner. 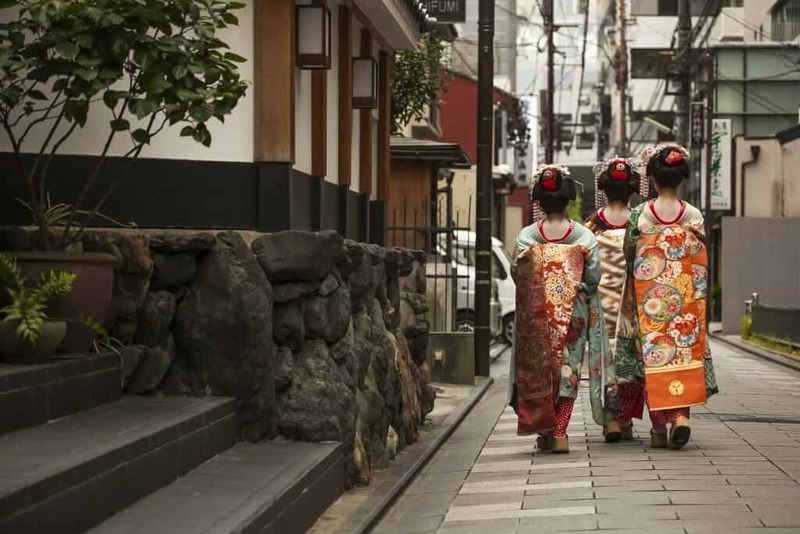 The streets to the north of Shimbashi are packed with old houses, some of which open their doors to the public during the Gion festival, displaying family treasures and beautifully preserved interiors. 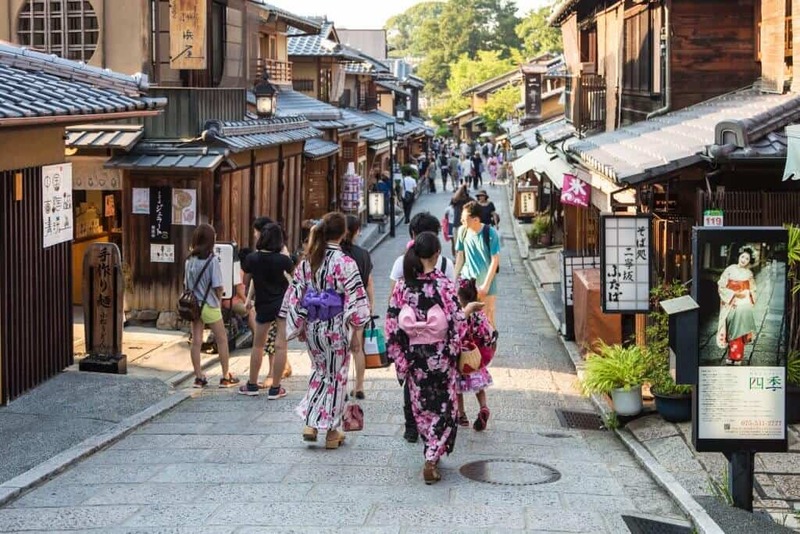 Gion is accessible from Kyoto Station by City bus 100 or 206. The ride takes around 20 minutes and costs 230 yen each way. 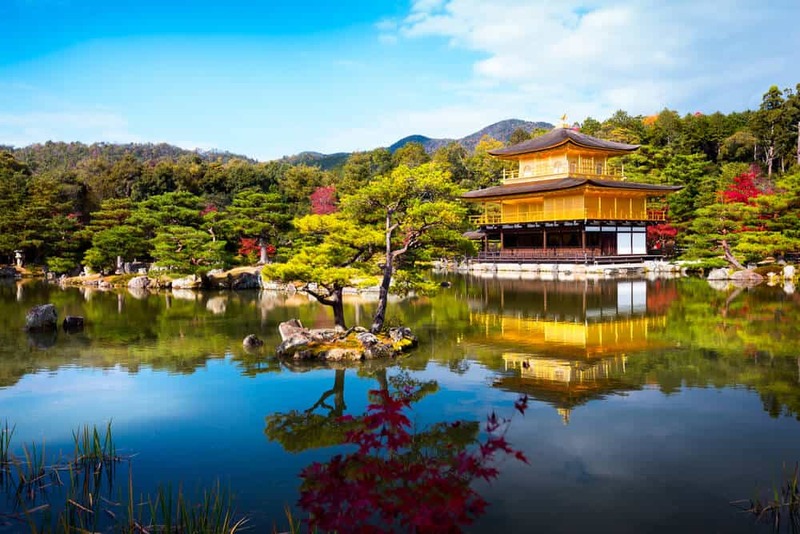 Alternatively, you can take the Keihan subway line to Gion Shijo Station, or the Kawaramachi Station on the Hankyu line.